The pod structure allows travel for one adult, granting a human a sense of personal space amongst mega cities where over-crowding is a growing issue. The external wheel base allows the vehicle to pivot in a 360 degree range, ideal for maneuvering and parking. The wheels themselves are fully immersed rubberized tires, they conform and absorb road bumps eliminating the use of traditional suspension systems. 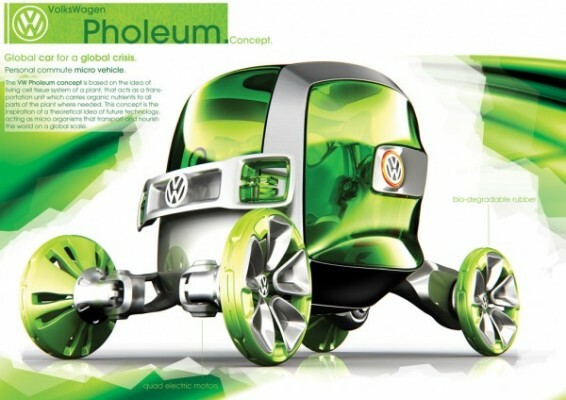 The tires are made of bio-degradable rubber which can be fully recycled and reused at the end of its lifetime. The vehicle is comprised of memory plastic panels and body work, which allows the material to deform back to its original state if it becomes dented or scratched with the proper application of heat. This memory plastic is completely recyclable and can be reused to fix ‘irreparable’ damage. The chassis are honey comb shape aluminum alloy making it stronger and lighter. Entirely new safety design is the external airbag system located on the pod and on the wheels. The airbags deploy when sensors indicate when a large mass is headed in collision course of the vehicle, deploying in a few meters of its radius. The powerhouse uses four individual hydrogen fuel cell technology motors, each situated in each wheel. Having the electric motors in each wheel not only theoretically delivers precision power to each wheel, but also eliminates the need for brake rotors, since the motors themselves have the ability to function as brakes with the regenerate power application. 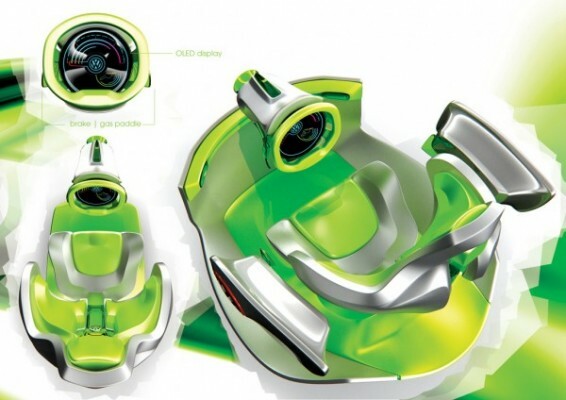 The interior housing is minimalist, with the control steering pod mimicking game like controls that many younger generations are already use to. 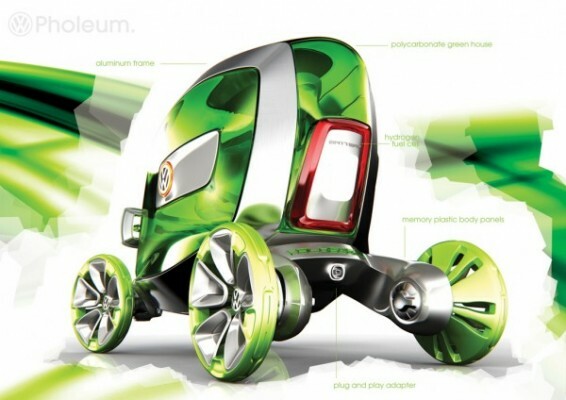 And the clear body green house shell design allows for total and complete visibility all around. 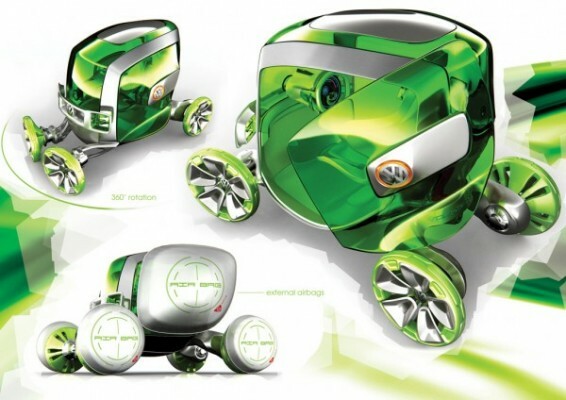 In conclusion, this car kicks series pod-booty and intends to transport and nourish the world, being sustainable, green, and recyclable. Long but a brilliant information dude. Thankx for sharing! However I’m having issue with the RSS feed. Unable to subscribe to it. Does anybody having same rss feed problem? Anyone who can assist please respond. Thank you. i dont really agree with what you are saying how could you think like that? I’m impressed, I have to say. Really rarely do I see a blog thats both educational and entertaining, and let me tell you, you’ve hit the nail on the head. Your blog is outstanding; the matter is something that not a lot of people are speaking intelligently about. I’m really happy that I stumbled across this in my search for something relating to it. I was extremely tickled to stumble across this website.I wanted to thank you for this Interesting weblog!! I truly loved each small little bit of it and I have you favorited to check out new stories you post. Could you message me with a few hints & tips on how you made this site look this awesome, I would be thankful! This blog seems to get a good ammount of visitors. How do you promote it? It offers a nice individual spin on things. I guess having something real or substantial to give info on is the most important factor. Thank You for the awesome article, I loved reading it! A short reminder for everybody: Please donate something for Indonesia! The situation is out of control and we need to show our support! The poor people need our help! Its also in our responibility, because we cause natural disasters like this with our greenhouse effect! So please give something, no matter if its just 1 dollar! Please also remind your friends and family! This is the moment to break away since this info is meant to help you understand something about. hi everyone, my label is stamp and i retributive deprivation to say that this is an fantabulous journal flyer and i really saved it helpful, would it be o.k. if i submitted posts to this blog nearly topics i pioneer newsworthy? Exactly. The ‘Snapdragon’ happens to include a poor GPU, which you mentioned the specifics of in your comment. To that end I heavily dislike the idea of calling a phone with one of these SOCs ‘high-end’. My overclocked Droid performs general calculations nearly as well at the same clock speed as a Snapdragon at 1Ghz, but it’s 3D performance beats the Snapdragon easily – and Hummingbird just kills everything else on Android. It’s a shame Microsoft made Snapdragon the only currently supported chip for 7, as it’s going to limit game development in the long run. Shame Focus isn’t rocking a Hummingbird. I’m still learning from you, but I’m improving myself. I certainly love reading everything that is written on your website.Keep the information coming. I liked it! Nice information. Thanks so much, I look forward to reading more of your posts. [Reflex] Instant Whey: I ve just bought the raspberry tasting one i gotta say uh umm even with water it tastes great! No had chance to test the actual product but on taste alone recommended! How-do-you-do? an awesome blogpost man. Good share. However I’m having issue with the RSS . Don’t know why Fail to subscribe to it. Is there anybody else experiencing identical RSS feed problem? Anyone who can help please reply. Thank you. I have been looking into this for a long time now thanx for clearing it up. Great article, thanks. I signed up to your blog RSS. I signed to RSS on this blog. Will you post more on this theme? Fine website. I appreciate your effort, I look forward to reading more of your posts. It’s unusual for me to discover something on the internet that’s as entertaining and fascinating as what you have got here. Your page is sweet, your graphics are outstanding, and what’s more, you use reference that are relevant to what you are talking about. You’re certainly one in a million, well done! Wish you 2011 Happy New Year!